We had a small camping at Motosuko. It was the first time camp for us together. 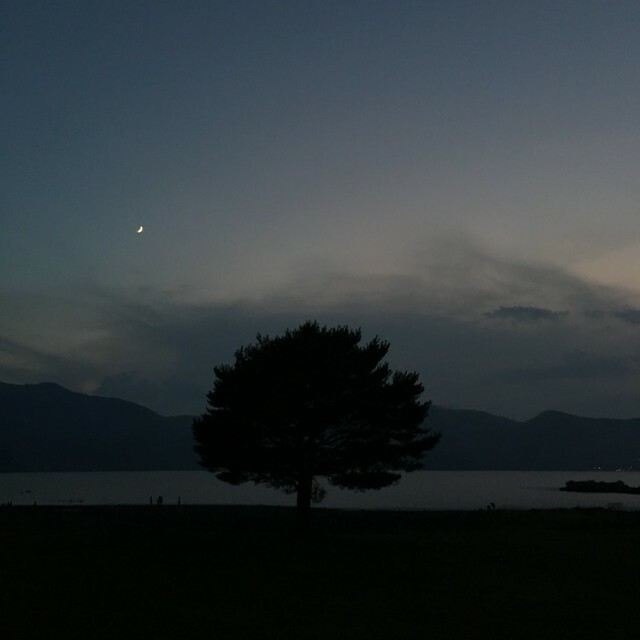 In the twilight time, so bright crescent moon appeared over a round tree.